Each year about 1.3 million smokers quit. Are you ready? Health: The sooner a person quits smoking the better. As soon as a person quits the body begins to repair any damage caused by smoking. Money: Cigarettes are expensive and in some places can cost up to $10 a pack. Even if a pack cost $5 and a person smokes a pack a day that adds up to $1,825 per year. How about that for savings! Are you or someone you know ready to quit? Beebe Healthcare, in partnership with the Delaware Quitline, is offering free smoking cessation counseling. Beebe’s trained counselors are available to meet with clients at the Margaret H. Rollins Lewes Campus and at Beebe Cardiac Rehab in the Medical Arts Building at the Rehoboth Beach Health Campus on Route 24. 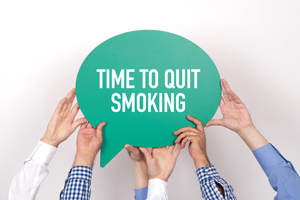 The counseling consists of three, free, one-on-one visits with a trained smoking cessation counselor. At these sessions you and the counselor together will select a quit date and formulate the best quit plan for you. If you are interested in signing up, call (302) 645-3030 or go to: www.beebehealthcare.org/smoking. 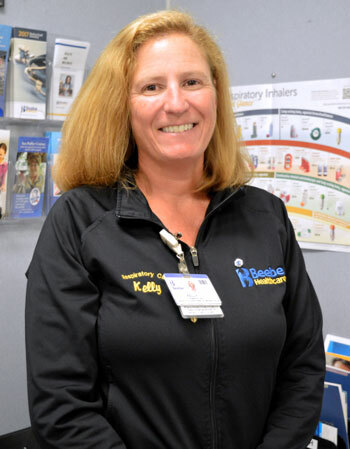 Kelly Thompson has a bachelor’s degree in respiratory therapy from Salisbury University. She is a registered respiratory therapist and has been employed by Beebe Healthcare since 2008. She currently works in the Pulmonary Rehabilitation Department at Beebe Healthcare.